Warm up a small frying pan (using a small pan is very important) on medium-high heat. Meanwhile, combine eggs and milk thoroughly. Pour a little bit of olive oil in the pan and add egg mixture. 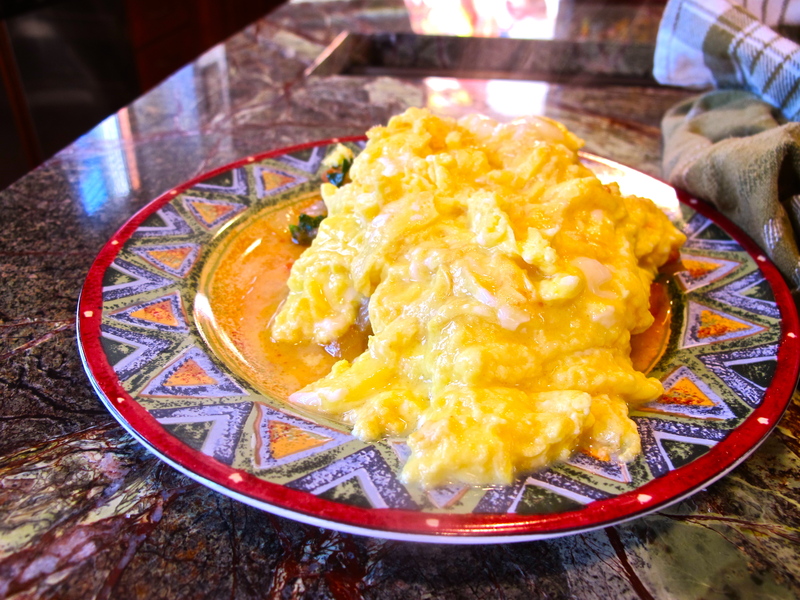 Stir eggs very slowly for pretty much exactly two minutes, then remove from heat immediately and serve. 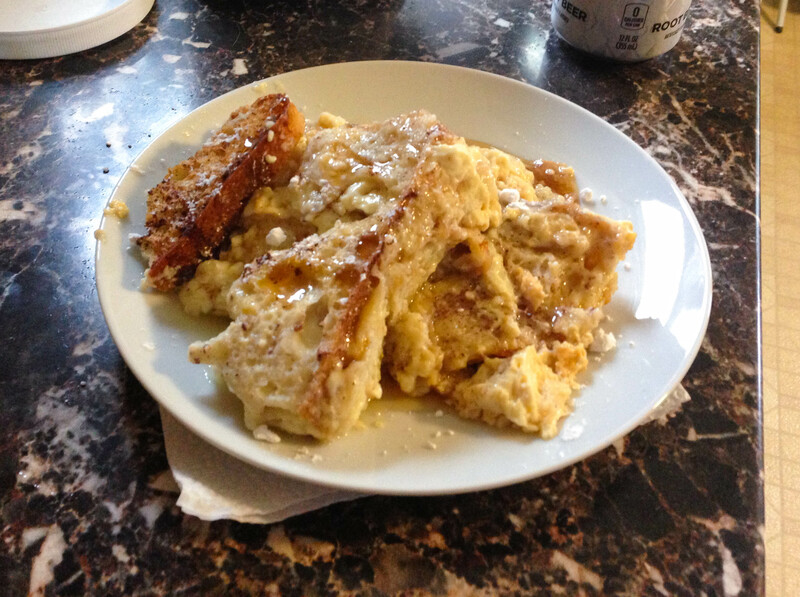 This entry was posted in Breakfast, Vegetarian on January 17, 2014 by Miranda @ Tempest Books. Stir the cottage cheese and egg together until full combined. Add in flour, salt, baking powder, and sugar, stirring to combine. Add milk and blueberries; mix together. 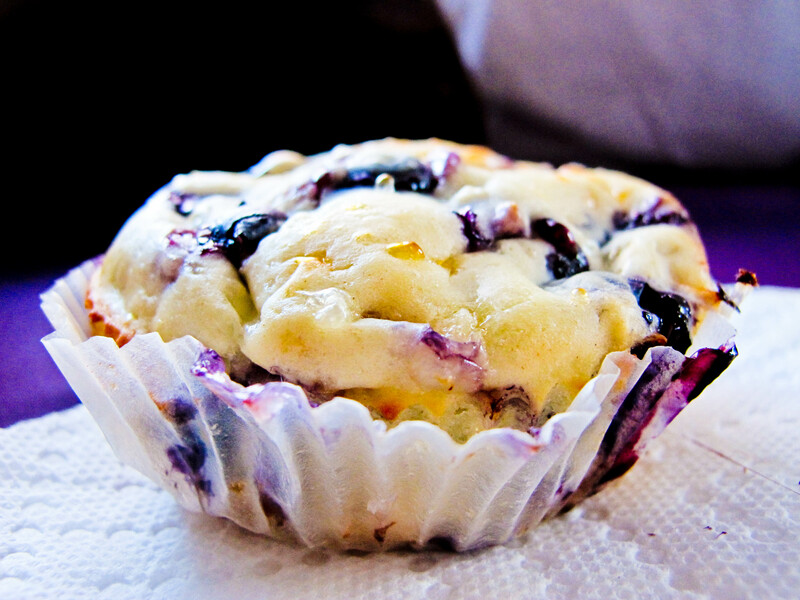 Pour batter into a muffin tin with greased muffin cups. Bake at 425˚ until the tops of the muffins turn slightly golden brown – about 20 minutes. Let sit for 5 minutes before serving… Enjoy! Each muffin is 140 calories and has 4 grams of protein! 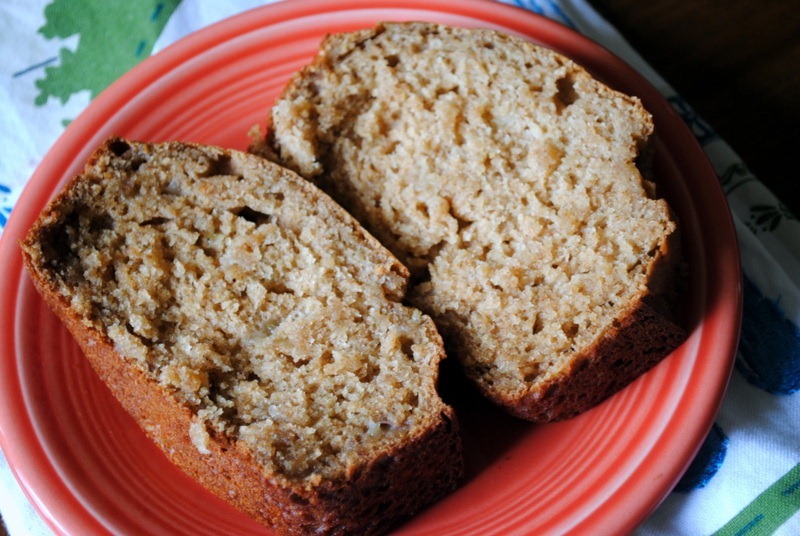 This entry was posted in Breakfast, Muffins & Breads on January 17, 2014 by Miranda @ Tempest Books. Combine all the ingredients in a blender and pulse for 10 seconds. Refrigerate the batter for at least 1 hour or overnight. Spray a small non-stick pan with a bit of PAM and then warm over medium-high heat. Pour about 1/3 to 1/2 cup of batter into the pan and swirl to spread evenly. Cook for 30 seconds, then flip either by tossing the crêpe up in the air or with a spatula. Cook for another 10 seconds and then place on a plate or cutting board, laying the crêpe flat to cool. Repeat for other crêpes. 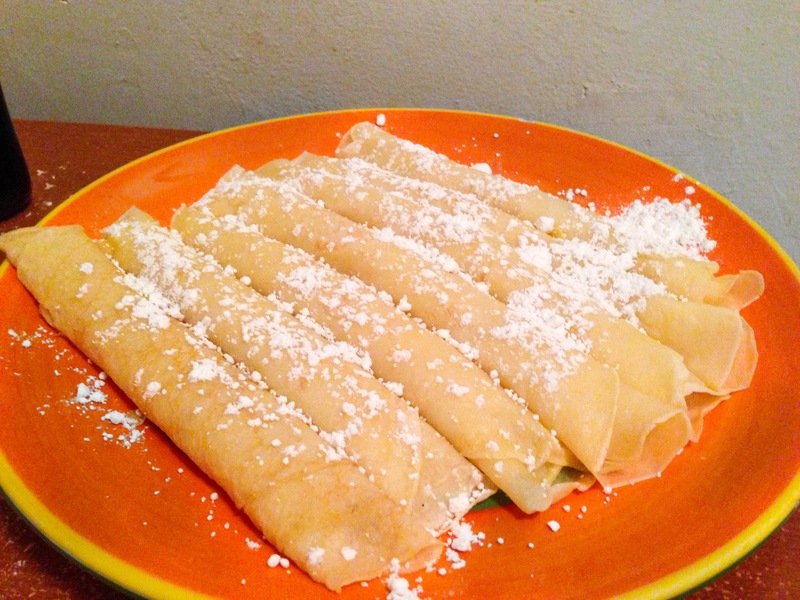 Twist each crêpe into a little bunch and sprinkle with powdered sugar. Serve with maple syrup and dig in! This entry was posted in Breakfast on January 11, 2014 by Miranda @ Tempest Books. Whisk eggs, half-and-half, syrup, vanilla, cinnamon, and salt together. Divide bread among greased muffin cups. Pour egg mixture evenly over each cup (I used 1/4 cup of batter in each muffin cup). Bake for 20 minutes. Let sit before serving… Enjoy! In a 9 x 13 baking dish, arrange the bread in two layers, making sure that the bread fits the dish. (Note: I also staggered the bread to allow for more coverage and less gaps when it would bake together). Whisk together the eggs, milk, honey, orange zest, vanilla, cinnamon and salt in a large bowl. Pour the mixture over the bread and press the bread down. Place the baking dish in a large roasting pan. Add hot tap water to the roasting pan so that it covers and inch or so of the baking dish, taking care to NOT get water in the bread pudding mixture. Cover the roasting pan tightly with foil, taking care to not let the foil touch the bread pudding. 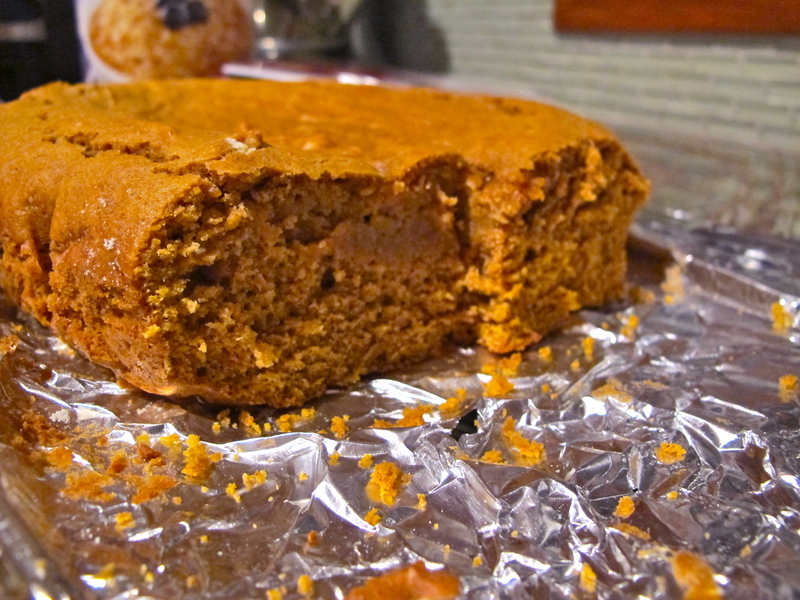 Make two slashes in the foil to allow the steam to escape and bake for 45 minutes. After 45 minutes, remove the aluminum foil and bake for another 45 minutes or so until the pudding is puffy and golden and the custard is set. 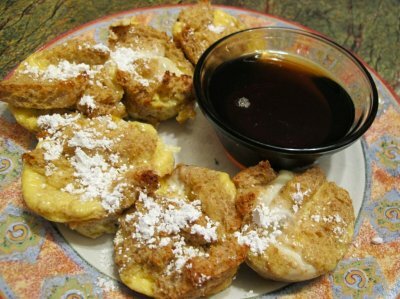 To serve, lightly dust with confectioner’s sugar and drizzle with maple syrup.